Measurement accuracy up to 0.01. Customer feedback reminder timely reminds workshop to follow up with car situation and maintain old customer. Black box records the operation situation of wheel aligner, effectively improve the efficiency of problem-solution. 3D animation demonstration make it easier to learn. Rub radius measure the steering wheel holder whether symmetrical or not, then to keep stability. Free vehicle-pushing is not restricted by levelness of platform. Additional measurement can realize angle analysis for chassis. Without looking at screen in the process of measurement. Operation can be finished by intelligent LED indication light. 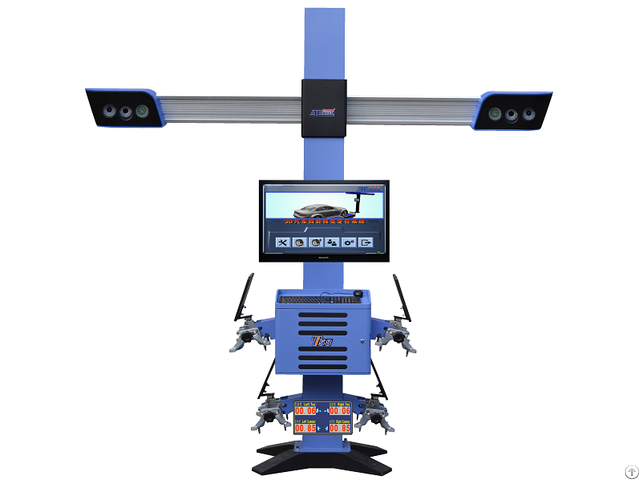 Business Description: Our supply various CCD and 3D wheel aligner machines high quality with competitive price. Shenzhen 3Excel Tech Co.,Ltd was established in 2004,it is a high-tech and self-innovation enterprise, All products with independent intellectual property rights, CCD products of which 5 patents, 2 utility model patents have been obtained; 3D products obtained 5 utility model patents, 4 software copyrights, 1 outlook patentsin 2013,Shenzhen 3excel won the Chinese Automobile Maintenance for 30 years "the most growth enterprises"and "science and technology innovation excellent enterpriseall products have been exported to Asia,Europe, America and so on, more than 40 countries.